The two-day expo, allows business and networking opportunities for exhibitors to directly interact with the right decision makers and key influencers leading to high volumes of lead generation. The conference will ensure that the latest developments, case studies, insights and technology trends are brought forth by leading speakers from India and around the globe. The popular programme reinforces the business nature of the show, visitors actively looking for new products/technology and techniques to integrate into their clinics. Aesthetic Medicine, India, will be held in Mumbai from 15-16 September 2019. 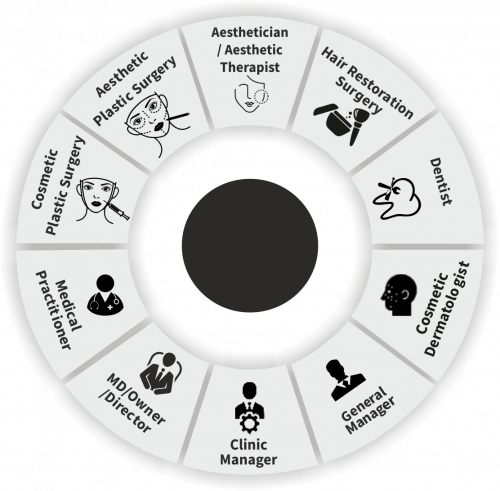 Aesthetic Medicine (AM) is part of the Global Professional Beauty Group and is the leading trade show and publication for the aesthetic industry in the UK held in association with the UK Association of Aesthetic Plastic Surgeons. With the launch of the Indian edition of Aesthetic Medicine, the event will provide top brands, leading manufacturers and distributors an opportunity to showcase the latest treatments and machines thereby providing good business leads and networking opportunities. The event is the perfect place to discover the latest innovations in products and services, whilst being updated on the latest technology trends and education. Aesthetic Medicine, India will be co-located with Professional Beauty Mumbai – India’s No 1, B2B trade show for beauty and wellness professionals. An event tailored to key decision makers – doctors, medical practitioners and clinic owners who are targeted with your products. The Conference at Aesthetic Medicine India expo will feature a clinical agenda dedicated solely to medical professionals including the latest developments, technology trends and case studies by prominent speakers for key industry professionals, whilst a skincare and devices focus product presentation will attract relevant buyers and visitors. The event is targeted to attract 2500 plus Aesthetic Medicine professionals from India. WHO WILL YOU MEET AT THE SHOW?